A police officer in Philadelphia, Pennsylvania is being investigated after striking a juvenile during a street fight. The incident was captured on video and posted on multiple social networks. Police was called to the intersection of 54th Street and Springfield Avenue in southwestern Philadelphia to break up a fight involving about 30 teens on Monday afternoon, WCAU reported. 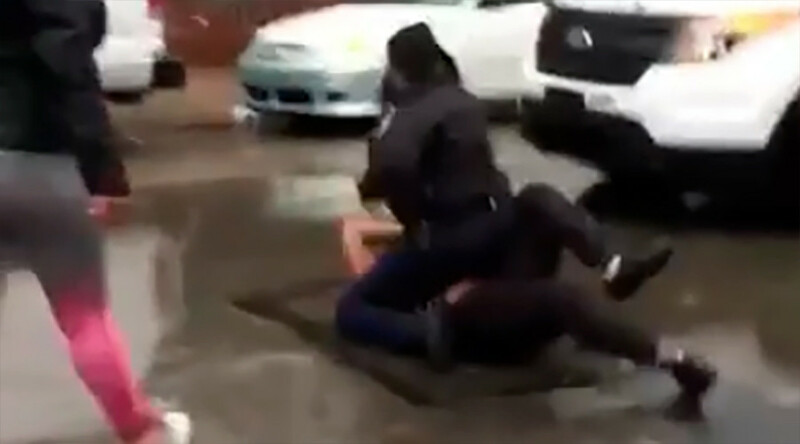 The street brawl was captured on video and posted to Instagram, Facebook and WorldStarHipHop. “They threw me against the car and they slammed her on the ground,” the girl’s legal guardian told WCAU, declining to be identified. Takeema Bundy, who witnessed the brawl, told WCAU the girl had lost her mother recently and was just trying to break up the fight.